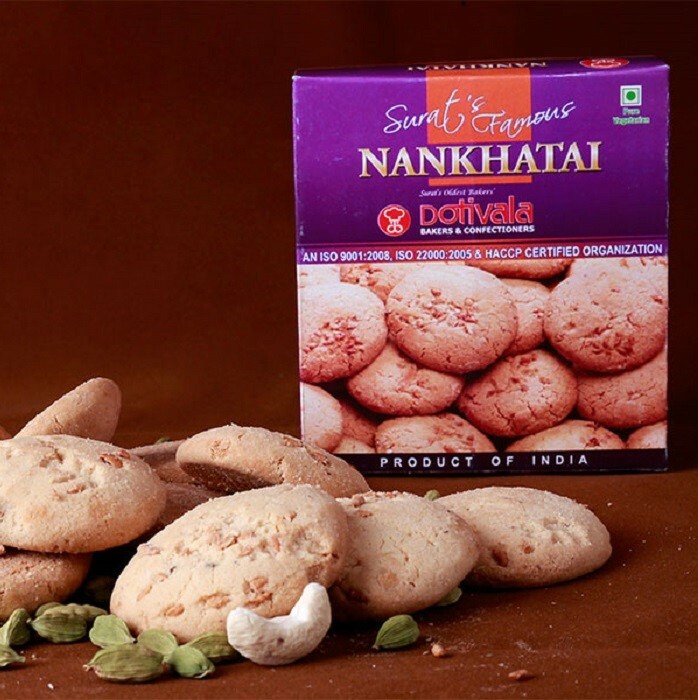 Buy Nankhatai of Dotivala from Surat online | Authentic Indian Sweet , Savories and Delicacies from the place they originate by Moipot. We know you have a sweet tooth! You can now satisfy your cravings by ordering world-famous Nankhatai from the legendary store of Surat Dotivala only from Moipot. The ingredients like nutmeg (jayaphal) and cardamom (elaichi), finely minced as tenderizer in this treat makes it a pure bliss to have. Great for gifting, people who visit Surat, don’t come back without a box of this sweet goodness!